Photo: The Gift Theatre Co.
Thornton will play the title role in “Richard III” in a production sponsored by the Rehabilitation Institute of Chicago. A Chicago-based rehabilitation hospital is helping give a new twist to a production about one of Shakespeare's most twisted villains. Most productions of “Richard III” star an able-bodied actor playing the historical monarch, who is often portrayed as humpbacked with a limp and withered arm. But a disabled actor takes on the role of the murderous king in the upcoming production by the Windy City's Gift Theatre Co. The Rehabilitation Institute of Chicago is the play's lead sponsor, and both current and historic assistive medical equipment are used to redefine what disability looks like in the show. The show, which will open in March, is part of the Shakespeare 400 Chicago arts festival commemorating four centuries since the bard's death. 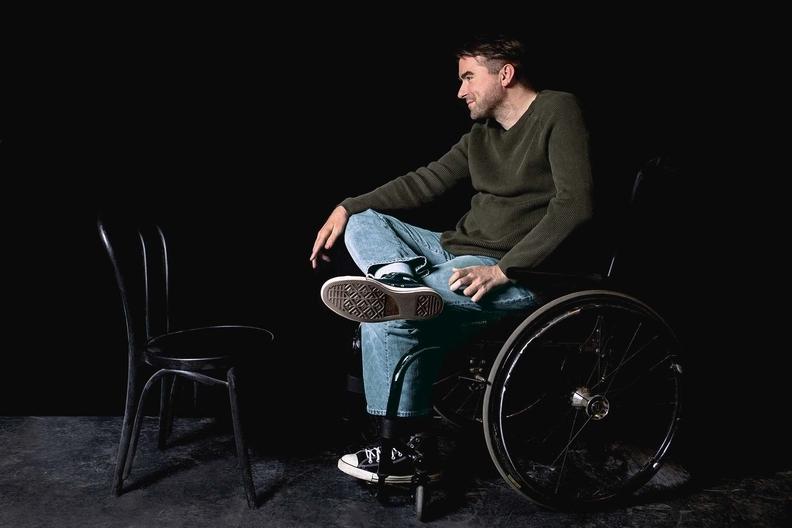 Michael Patrick Thornton, who will play Richard, was treated at the institute after suffering a spinal stroke in 2003. Therapists there helped Thornton learn how to use a walker during his therapy, and even employed Shakespeare soliloquies and monologues to help him relearn to speak. Thornton, the Gift's artistic director, still uses a walker or wheelchair to assist him in moving.